Long used in traditional medicine, olive leaf extract comes from the leaves of the olive tree (Olea europaea) and has a variety of health benefits. Research shows oleuropein, the main component in olive leaf extract, has antioxidant, antibacterial, antimicrobial, anti-inflammatory, and immune-stimulating properties. Historically, olive leaf extract has been used for the prevention or treatment of inflammation, infections (e.g., the common cold, influenza, Candidiasis, urinary tract infections, shingles), diarrhea, allergies, and diseases such as Alzheimer's, chronic fatigue syndrome, osteoarthritis, and osteoporosis. 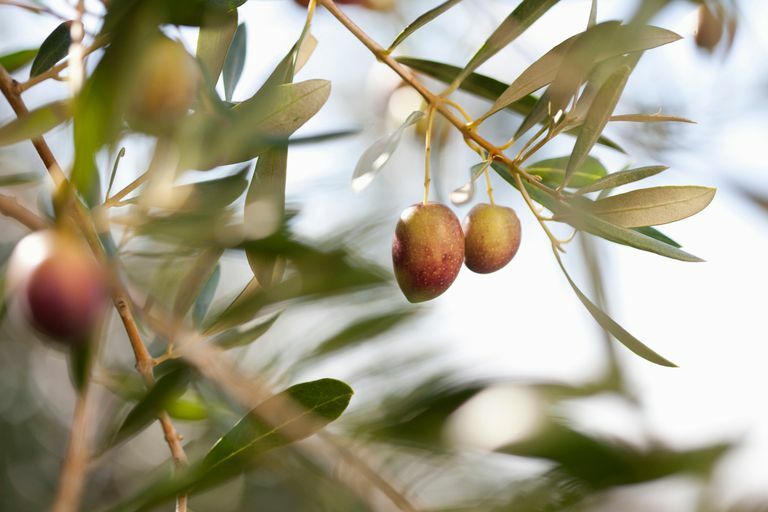 Olive leaf extract may aid in diabetes control, according to a small study published in the Journal of Medicinal Food. For the study, 79 adults with type 2 diabetes took either a supplement containing olive leaf extract or a placebo every day for 14 weeks. By the study's end, participants given olive leaf extract showed a significantly greater decrease in blood sugar levels compared to members of the control group. While this study sample size is small, it replicates earlier animal studies and shows promise in the treatment of type 2 diabetes. However, more research is needed. Olive leaf extract shows promise in the treatment of hypertension, as is supported by a 2017 study published in the European Journal of Nutrition which found that phenolic-rich olive leaf extract reduces blood pressure. Researchers gave 60 prehypertensive subjects either olive leaf extract—136 milligrams (mg) oleuropein; 6 mg hydroxytyrosol—or a placebo for six weeks while monitoring blood pressure and found clinically significant reductions in blood pressure, total cholesterol, LDL cholesterol, and inflammatory markers in the treatment group. While this was a small study, it replicated previous human research and animal studies, and shows promise for olive leaf extract as a treatment for high blood pressure. Olive leaf extract has antiviral properties and is used in holistic medicine to treat certain viruses. In laboratory testing, olive leaf extract was shown to effectively fight herpes, mononucleosis, and rotavirus, and it may also be useful against influenza and HIV. While the research is limited to cell cultures and olive leaf extract's benefits have not been proven human studies, strong anecdotal evidence suggests it can effectively treat cold sores. Due to a lack of research, little is known about the safety of regular use of supplements containing olive leaf extract. However, there's some concern that olive leaf extract may trigger mild side effects like stomach pain and headache. Some people may develop an allergy to olive leaf extract. The pollen from the olive leaf can trigger severe respiratory allergic reactions in people who are allergic to plants in the Oleaceae family, which includes ash trees, lilacs, jasmine, forsythia, privets, and, obviously, olive trees. Olive leaf extract may interact with certain medicines. Do not take olive leaf if you are taking blood pressure medications, as it can cause your pressure to get too low. People who are taking insulin or other blood sugar medicine also should not take olive leaf because it may cause hypoglycemia. Because olive leaf extract may interfere with the actions of certain chemotherapy drugs (due to its antioxidant properties), those undergoing such treatment should talk to their doctor before taking it. Olive leave comes in capsules, softgels, and tinctures. There is no recommended daily allowance for olive leaf extract. The standard dose ranges from 500 mg to 1,000 mg daily. Most supplement labels recommend splitting the dose, taking 250 mg to 500 mg two to four times a day with food. When selecting a brand of supplements, look for products that have been certified by ConsumerLab, U.S. Pharmacopeia, or NSF International. It's important to keep in mind that supplements haven't been tested for safety and dietary supplements are largely unregulated. In some cases, the product may deliver doses that differ from the specified amount for each herb. Can olive leaf extract help me lose weight? Olive leaf extract has been shown to prevent obesity in animal studies. Researchers believe it works by regulating the expression of genes that affect weight gain and may also serve as an appetite suppressant. These results have not been replicated in human trials. How should olive leaf extract be stored? According to supplement makers, olive leaf extract should be stored in a cool, dark place, such as a cabinet or the refrigerator. Due to the limited research, it's too soon to recommend olive leaf extract as a treatment for any condition. It's also important to note that self-treating a condition and avoiding or delaying standard care may have serious consequences. If you're considering using olive leaf extract for any health purpose, make sure to consult your physician first. El SN, Karakaya S. Olive tree (Olea europaea) leaves: potential beneficial effects on human health. Nutr Rev. 2009 Nov;67(11):632-8. doi: 10.1111/j.1753-4887.2009.00248.x. Wainstein J, Ganz T, Boaz M, et al. Olive leaf extract as a hypoglycemic agent in both human diabetic subjects and in rats. J Med Food. 2012;15(7):605-10. doi: 10.1089/jmf.2011.0243. Vogel P, Kasper Machado I, Garavaglia J, et al. Polyphenols benefits of olive leaf (Olea europaea L) to human health. Nutr Hosp. 2014;31(3):1427-33. doi: 10.3305/nh.2015.31.3.8400. Lockyer S, Rowland I, Spencer JPE, et al. Impact of phenolic-rich olive leaf extract on blood pressure, plasma lipids and inflammatory markers: a randomised controlled trial. Eur J Nutr. 2017;56(4):1421-1432. doi: 10.1007/s00394-016-1188-y. Omar SH. Oleuropein in olive and its pharmacological effects. Sci Pharm. 2010;78(2):133-54. doi: 10.3797/scipharm.0912-18. Shen Y, Song SJ, Keum N, Park T. Olive leaf extract attenuates obesity in high-fat diet-fed mice by modulating the expression of molecules involved in adipogenesis and thermogenesis. Evid Based Complement Alternat Med. 2014;2014:971890. doi: 10.1155/2014/971890.